FIFA is getting it from all sides right now, and for good reason. Last night the US Justice Department reportedly arrested officials for fraud related to the upcoming World Cups in Qatar and Russia. And even before the arrests, fans were protesting the use of forced labor at World Cup construction sites by hitting the event’s organizers where it hurts: Its sponsors. Just a few days ago Amnesty International released a new report about how Qatar, which will host the World Cup in 2020, is treating its labor force. The conclusion? Despite promising to improve conditions, nothing has changed. Abusive practices, like keeping workers’ passports and exerting control over when they leave the country, are still in place. Living conditions are still awful and failsafes to prevent work-related deaths still haven’t materialized. The report—paired with the recent news of FIFA’s widespread corruption—is inciting fans to target the brands sponsoring the World Cup. 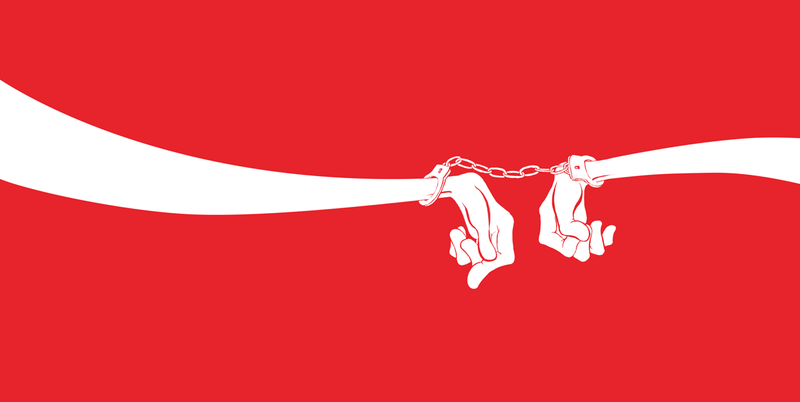 Over on Imgur and Bored Panda, people are uploading mockups of advertiser logos designed to reflect the forced labor and human rights violations that are taking place on site. Plenty of them are way too heavy-handed, but a few strike a nerve. Will it change anything about the World Cup? You’d do better to look to yesterday night’s arrests for that—if these officials are convicted, it could trigger the reforms that are so desperately needed within the organization. Still, public outrage from the consumers these companies value can be a powerful thing.